After ten beautiful years together, the time came to part ways with my beloved hair dryer, which was on its last legs. 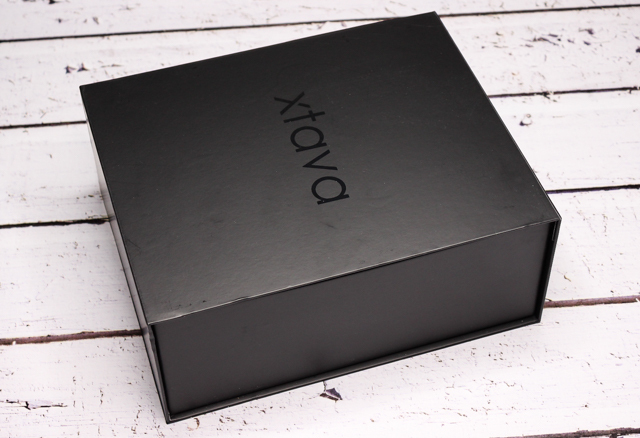 When I saw that Ipsy had the Xtava Pink Anemone Hair Dryer on offer for a crazy good price, I knew I had to get one. Along with the affordable price point, this hair dryer's compact design was a huge selling point for me, seeing as I am so over big and bulky hair dryers! When it comes to hair dryers, I need something quick and powerful for my thick and frizzy hair. 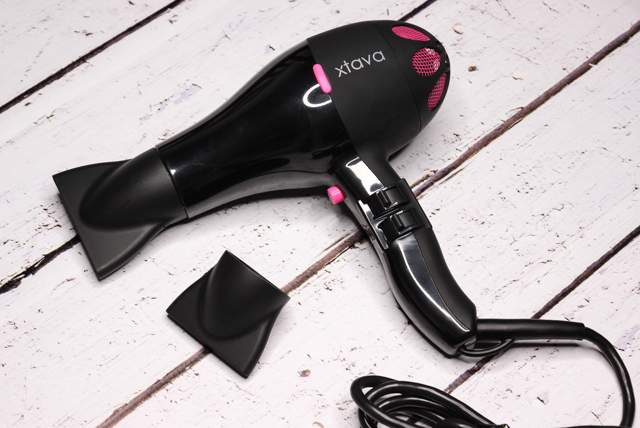 Don't let the size of the Xtava Anemone Hair Dryer fool you. This guy packs a huge punch. It works amazingly well at cutting my hair drying time, and I love that my hair feels much smoother, and looks shinier and practically frizz-free, after. The included nozzles are great. Both work well at concentrating the heat on the hair, for a sleeker style. Hair dryers are pretty noisy and I am happy to report that this one isn't so bad. A little more quieter and easier on the ears than my last hair dryer, for sure. Because of it's size, I was expecting this dryer to feel light as air. But it definitely has some weight to it. It's nothing over the top though, and my arms and hands don't feel strained while using this, which is nice. 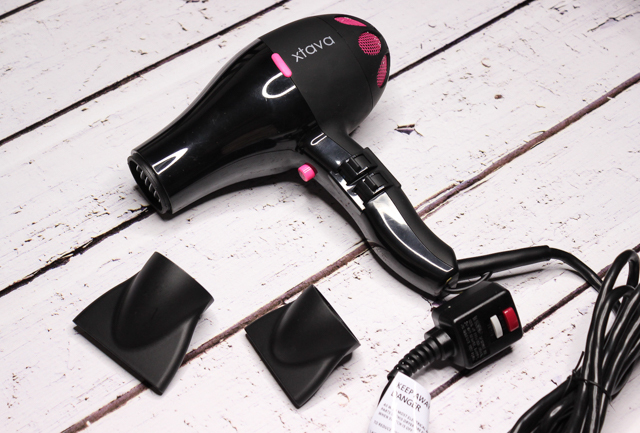 Overall: I am super pleased with the Xtava Pink Anemone hair dryer. It does what I need it to do-and fast at that, and the end results are just great. This is definitely a nifty hair tool to have and, did I mention how awesome this hair dryer would be for bringing along on travels? Score! Which are your must-have hair dryers?